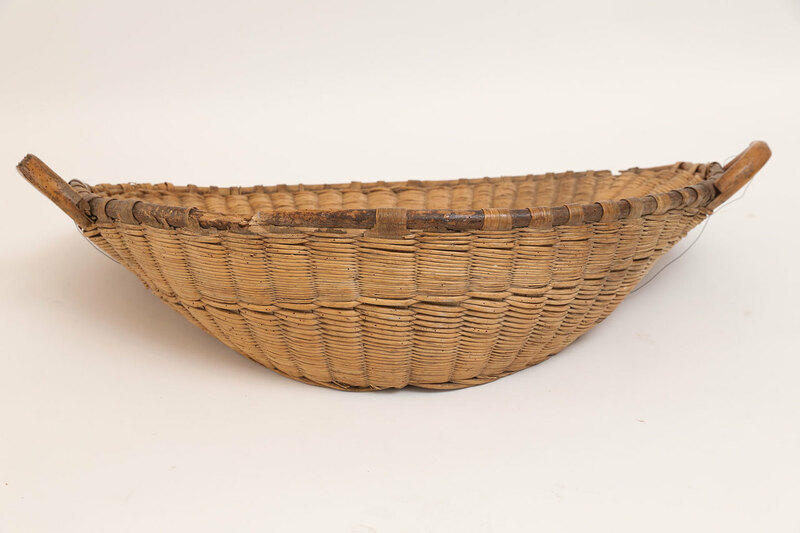 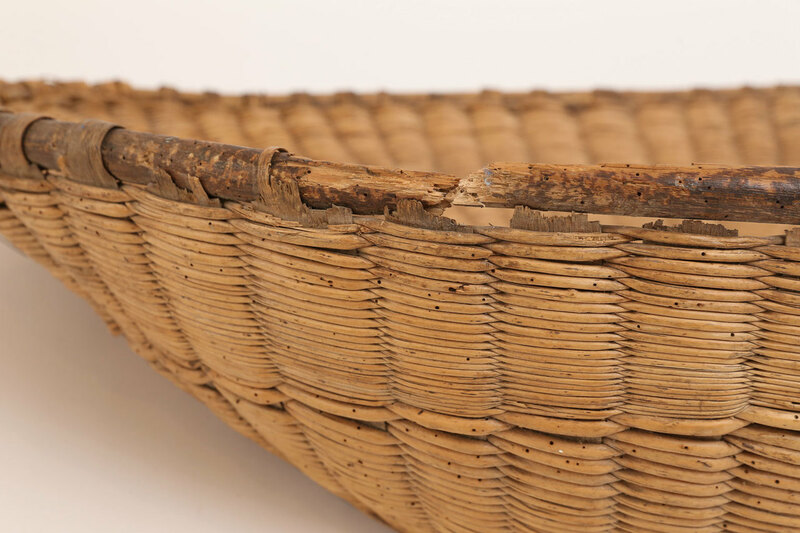 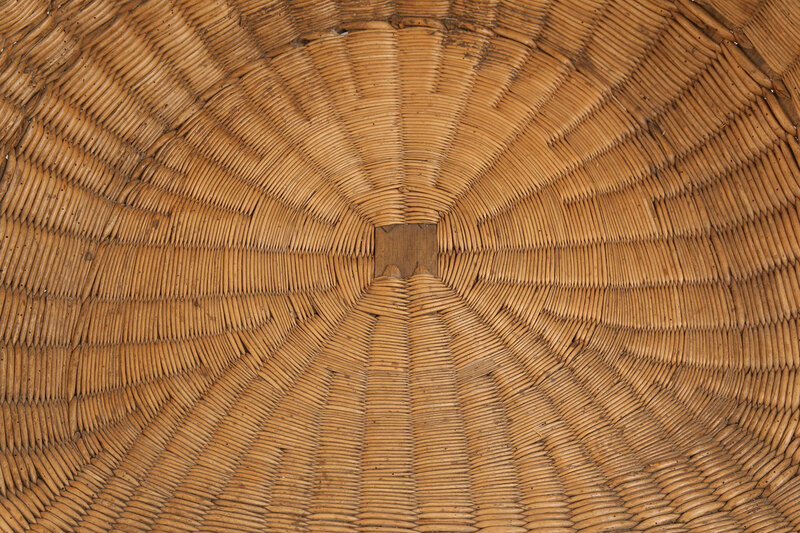 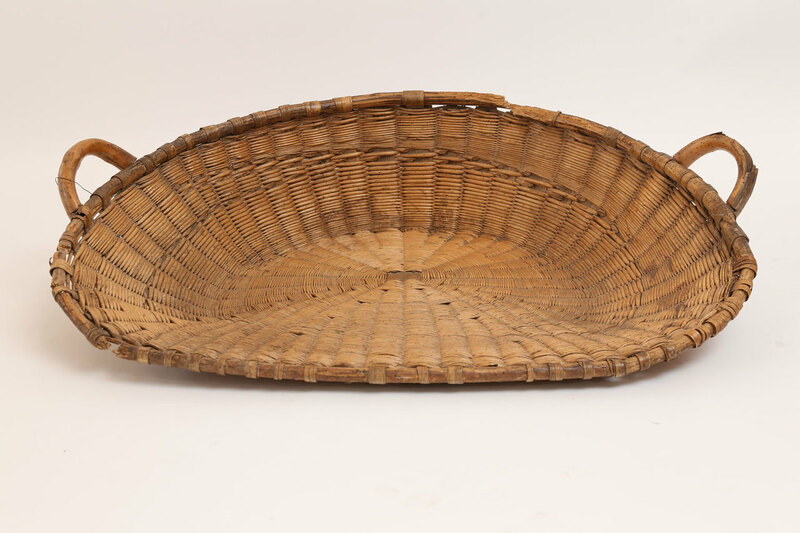 Antique French winnowing basket used for separating chaff from wheat after a harvest. 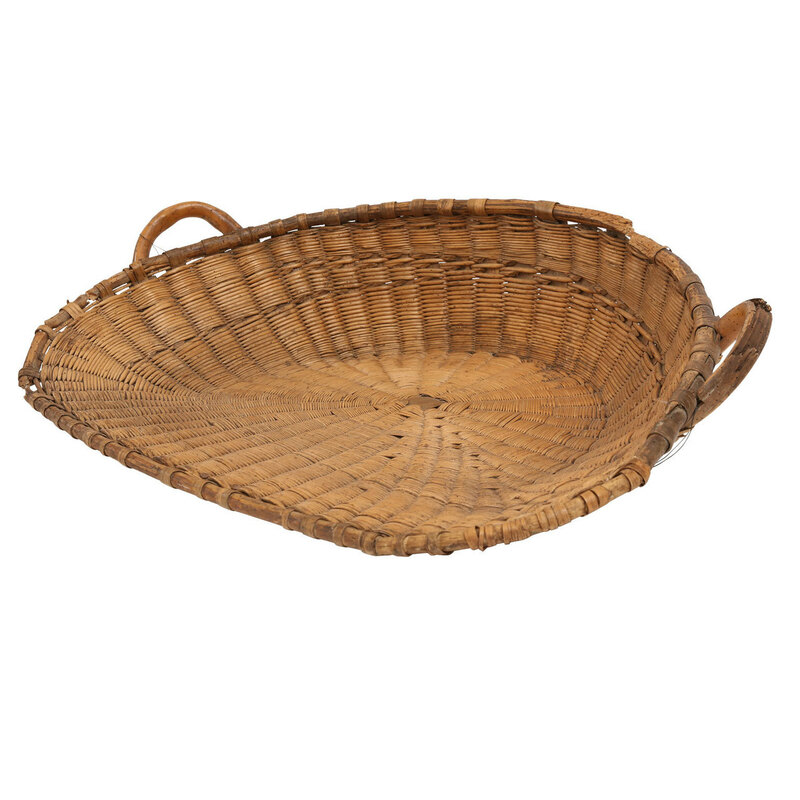 Today this charming basket serves as a decorative accessory (a wall hanging or for food display) or is perfect for use as a dog bed with the addition of a small cushion. 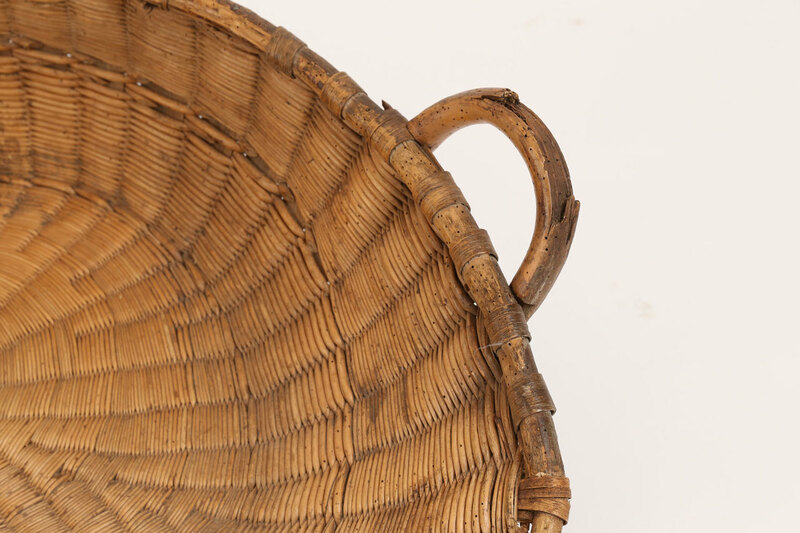 Condition: GoodStable and in good condition with the exception of minor damage from wear in some areas (see photographs).